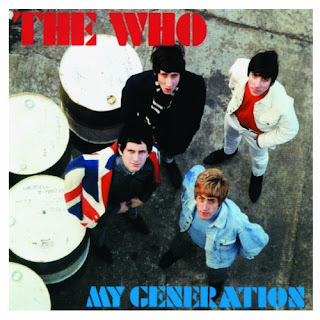 This week I have been listening to The Who's 'My Generation' soooo much. The Who are probably my dad's favourite band ever, and he grew up with their music, and I kind of have too (them and The Beach Boys lol). And this is the song that I've remembered best after all these years. I just love it. It was released way back in 1965 (long before I was born, when my dad was only young), and even now it's well recognised by so many people. I love every element of the whole song. The rock 'n' roll sound is such a classic one and was becoming so popular back when it was released. I think the lyrics are great, and they're so relatable to young people even now. It's a song about being who you are and being young and not letting what other people say effect what you're doing. And that's definitely my favourite theme in any song. It's just a song that I can never grow tired of and really enjoy hearing. And I'm taking Dad to see The Who in Hyde Park at the end of the month, so hopefully I'll get to hear it live (I don't see any way that they wouldn't play this song), so I'm really looking forward to that. Dad's never actually seen them before, they're like the only one of his favourite bands he's never gotten to see, so I booked the tickets as a little (really big and expensive lol) treat for him, because I think if he doesn't see them now then who knows if he'll ever get to. And if you can go and do something that you really want to do, then you should always do it. My final gig review of the past week (6th-13th) will be up tomorrow (evening I think), soooo yeah.